Your attitude will have more of an effect on your life than your education, past experiences and even the amount of money you earn. The way you view life on a regular basis will have an impact on how others see you as well as how you perceive others. Your attitude will determine your ambition, your focus, motivations and will allow you to prioritize what is most important in your life. Having a positive attitude can lead to a more positive life, but what are some of the best positive attitude examples that you can put into practice? Read on to learn more about how you can have a more positive attitude and life. Being more optimistic can lead to you being a happier individual. Optimism can also result in achieving more and persevering through many obstacles you face in life. An optimistic attitude allows you focus on positive outcomes and when you begin to focus on these positive outcomes, they tend to generate themselves. Those who are more optimistic also tend to be healthier as well. Enthusiasm is what will inspire you to keep going despite the obstacles you may face. Enthusiastic individuals tend to be powerfully driven because of their passion. This passion is what allows an individual to overcome any fears they may face while on the course to succeed any goal. Kindness is what allows people to come together. The act of kindness is one that is done without expecting a reward or anything in return. Being kind can result in less worry and instead put your attention on how you can have a positive effect on those and the world around you. Resiliency is another one of the positive attitude examples that individuals possess that lead to a happier life. Being able to bounce back from an obstacle or difficulty you face is a combination of three components that make up resiliency. First, having the commitment to stay focused during difficult times is vital. Next, you must maintain control of your circumstances. You must be willing to challenge or influence the outcome of the obstacle you face. Finally, you must challenge the way you feel about the outcomes. You need to be able to find the lesson or opportunity of every situation you face so you are better for the experience instead of bitter or discouraged because of it. Hope, like optimism, allows you to face difficulties and challenges when they arise. Having a hopeful attitude keeps you focused on the goals you set while understanding that the path to accomplishing those goals may need to be changed. When you have hope, you are able to see your goals as attainable and maintain the belief that even through difficulties, you will be able to work through them to reach those goals. Building your confidence will increase your positivity. 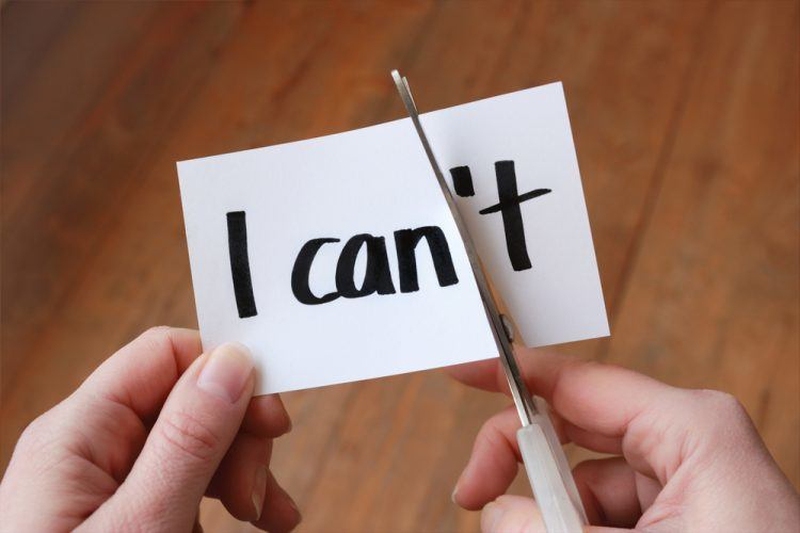 Being able to believe in yourself and your abilities to overcome what you face in certain situations is a crucial component of living a happier life. Maintaining a positive attitude through difficult times is not always easy, but when you have confidence you know that even the most difficult times are times you can get through. Working on strengthening the above traits can lead to a more positive attitude, but how can you use the skills in everyday situations? Refer to these examples of how you can put into practice of having a positive attitude through grief, anger, overwhelm and more in your daily life. We so quickly and easily beat ourselves up over things we have little control over. When you have prepared and tried your best at something, there is no reason to have a poor outlook on it. You should remember is to remind yourself that you did your best, there is nothing you can do about it now, so there is no reason to be so hard on yourself. There are many reasons why someone could run late which needs to be forgiven. There are also people who are just habitually late no matter what. If you know the person you are meeting is always late, then expect it. Don't arrive so early and don't keep getting mad when they do it all the time. Shift your negative mood or avoid meeting those people you know are going to be late. There will be days where you try to calculate every little task so that you have enough time in the day to get it all done. On these days, you want to fully emerge yourself in one task at a time instead of trying to speed through everything. Prioritize what must get done that day and what can get done the next. Your mood will improve and so will your productivity. All your friends seem to be out enjoying life, but you are stuck working most of the time. This can quickly put anyone into a negative mindset. While your friends may be out having fun, remember the goals you have set for yourself. Instead of feeling bitter or angry, remind yourself that the work you are doing is putting you one step closer to reach your goal and to make your dreams a reality. By stating or thinking you are having a bad day will put you in a bad mood. When it comes to positive attitude examples, the best one to start practicing is the following one. Instead of chalking your whole day up as bad, remind yourself that you just had a bad experience in the day. Some things aren’t going to turn out the way you plan but you don't have to let those things control the rest of day. Even if you absolutely love your job, there will be days that stress you out and make you feel overwhelmed. By shifting your mindset on these days, you can stay motivated, productive and positive during your workday. If you absolutely hate your job, then you want to consider taking the time to find a job that is more fulfilling. No matter what age you are, parents are going to frustrate you from time to time. They may not agree or understand the choices you make but they will always have your best interest in mind and want you to be happy. Even when they are wrong, annoying, or overstepping some boundaries, always keep a positive thought towards your parents. You are never lonely or hopeless. It is easier than ever to meet new people and improve yourself. The best way you can maintain a positive attitude in life is understanding that you have many opportunities in front of you, what you just need to do is to take action.